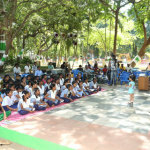 eAmbalam is committed to making a difference in the field of quality education. In this direction the portal pledges to keep aside a small percentage of all fees collected for the various online learning programs for the education of underprivileged children. 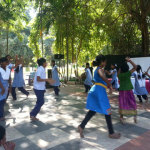 eAmbalam, through Life Art Education, believes that every child has a right to receive truly inspiring holistic education through Music, Dance, Yoga and Personality Development programs. 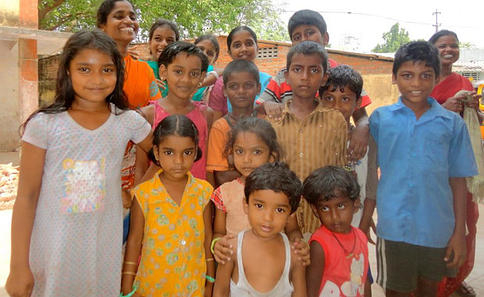 This vision has driven us to partner with Center for Women’s Development and Research (CWDR – www.cwdr.org ) in working with children of two slums Kannagi Nagar (one of the biggest slums in Chennai) and Thiruvanmiyur. Our passionate teachers will engage with these underprivileged children for six months starting November 2015 and help them enhance their intellectual, emotional, social, ethical and artistic development. To help them interact confidently with the children from other main stream schools, so as to bridge the gap between the affluent and poor. To nurture their inborn talents and help them blossom as artists. 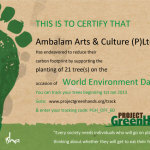 Why is Life Art Education Community Outreach important to eAmbalam? 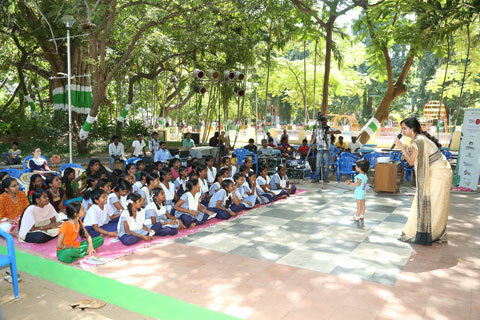 In our program run in schools we have seen proof of transformation in school children . We are very excited that we are able to make a difference in their fragile lives. When something wholesome is imprinted on young minds they do sprout and grow. This education should not be limited to main stream schools and should reach the not so privileged children. We want to move ahead with the conviction that we will make the under-privileged and and unheard voices Sing….Dance…..Act…. 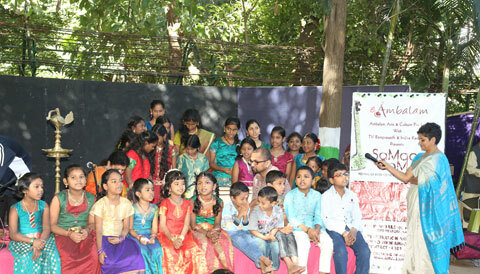 Nurturing emotional, artistic and social skills of these children will go a long way in keeping generations happy. 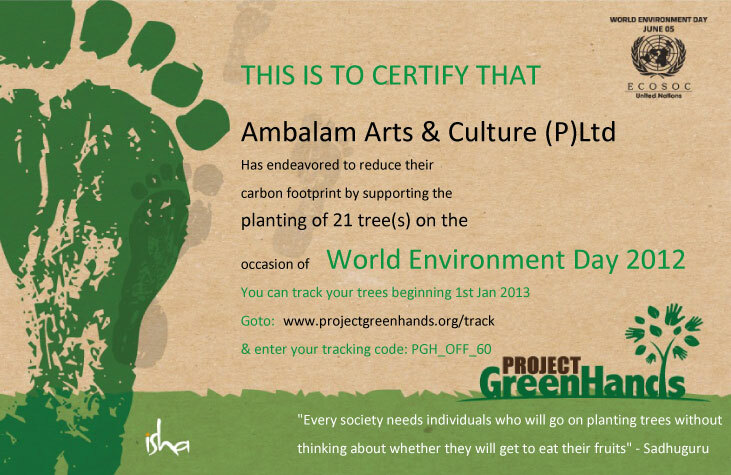 – eAmbalam is committed to a greener world and through its “Lets Go Green Campaign” has made a humble beginning in this direction by planting saplings in rural India. click on the thumbnail to view the certificate bigger. – eAmbalam would like to be an instrument through which performing arts education and aid in any other form can be channelized – from the hundreds of benevolent artists who want to volunteer. 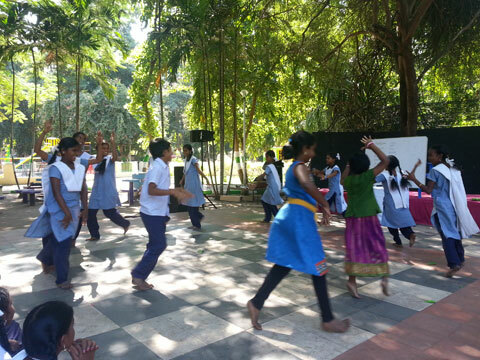 – In eAmbalam’s signature event SaMaaGaMa which is an unique outdoor festival of free interactive workshops & performances held annually, the 2013 edition hosted children from the underprivileged section for most portion of it. click on the thumbnails to view them bigger.